Happy Wednesday Fawn Friends!! 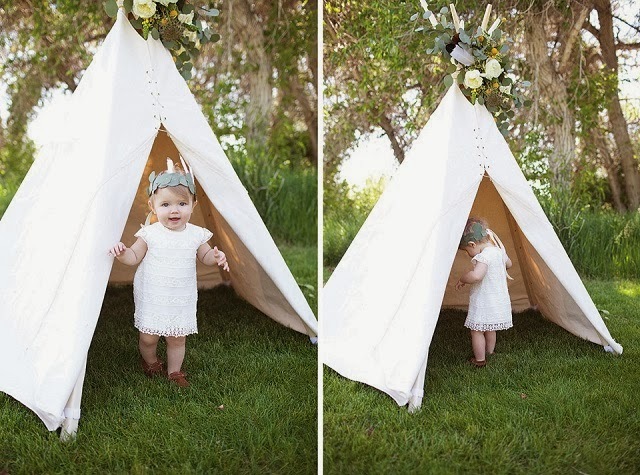 As I continue to try to keep calm and carry on planning my little's 1st birthday celebration this weekend, I have THE MOST adorable Indian-inspired 1st birthday party to share with you today! 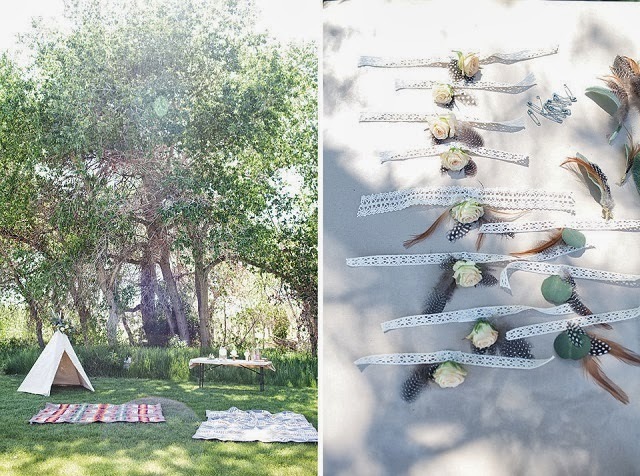 I mean, your are seriously going to die when you see the spectacular details that make up baby Sloane's fantastic and fanciful backyard soiree. 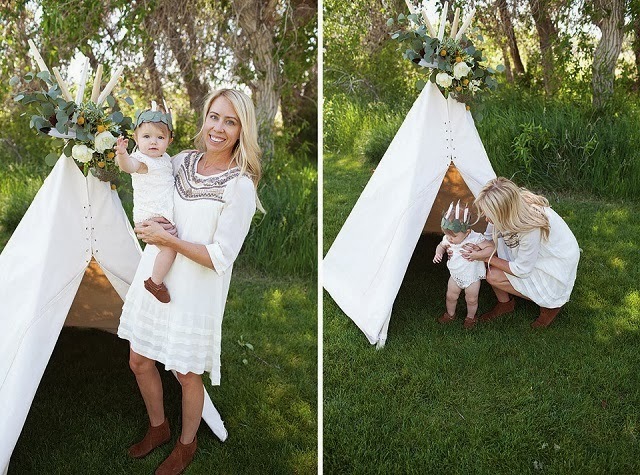 Mom and photographer, Becky Kimball, wanted a "relaxed and casual" get together to celebrate her baby girl turning one. 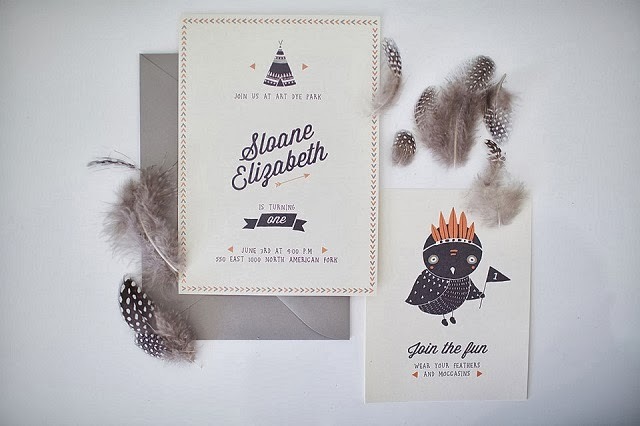 To commence Sloane's memorable milestone, guests received an adorable custom designed invitation, created by talented artist, Kelli Murray, requesting they come dressed for the occasion (wearing "feathers and moccasins"). 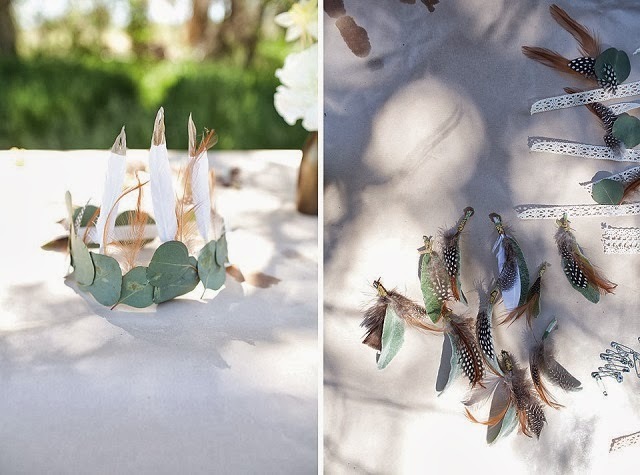 When they arrived they were greeted with a crafting station, which allowed them to indulge their creative side and assemble their very own Indian-inspired headdress. 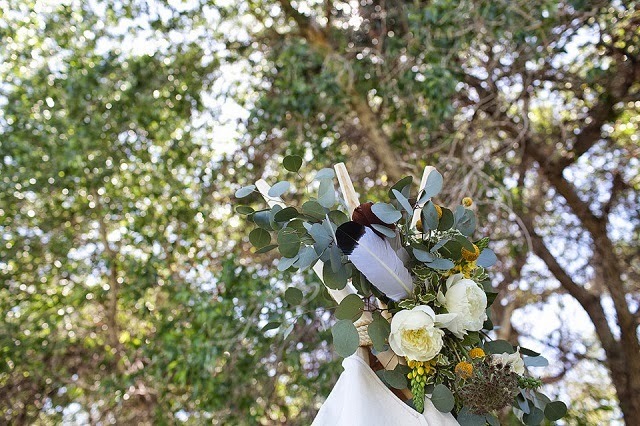 From feathers to felt and ribbon, they had everything they needed to complete their party accessory. 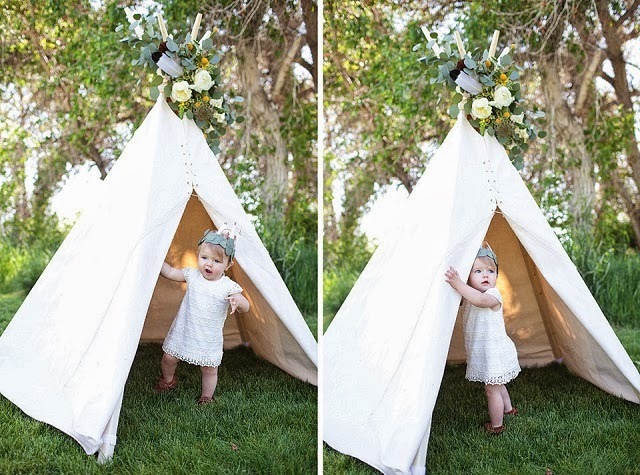 Becky also set-up a beautifully decorated tee-pee, setting the perfect stage for little Sloane and friends to explore and let their imaginations run free! I can't get enough of this little gem of a birthday party and I hope you are left feeling just as inspired as I am! 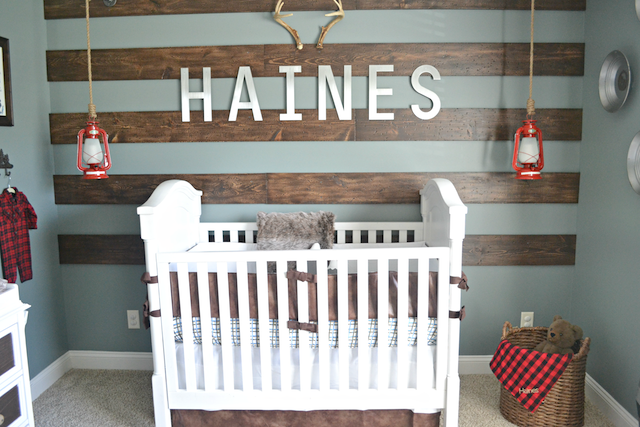 I mean seriously, how cute is this little guest of honor? Baby Sloane and her adoring big brother. They are too precious! 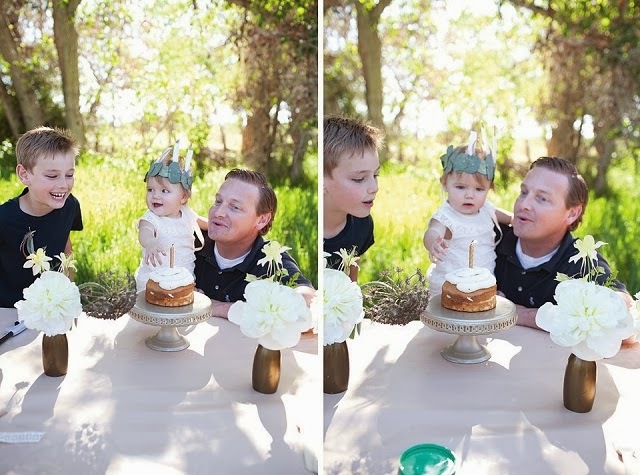 Proud Dad and Brother come to the rescue to help blow out her candle. 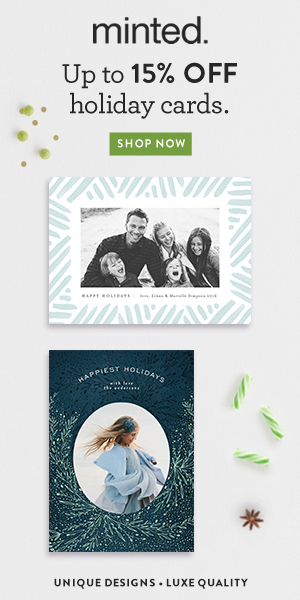 Visit Becky Kimball Photograhy to get all the info and more details about this AMAZING 1st birthday party! Everything. That's what I like about this post! Seriously so beautiful. My twins just turned one (how?!) We didn't exactly have a theme, but I knew I wanted it to be fun and bright. I'll have to remember this for the next one! Awesome theme for a birthday!! Beautiful photos! Eeeeeep those are TOO cute!